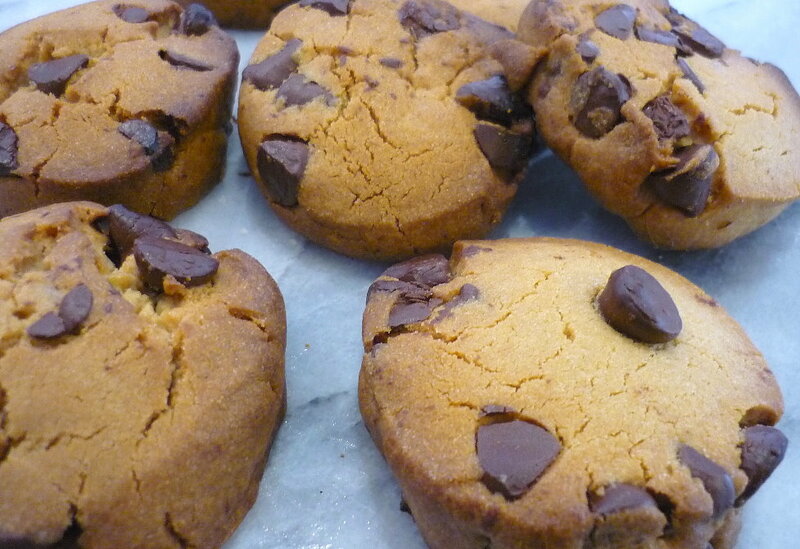 We should all enjoy a Choc-Chip Cookie from time to time. This is my version. Add the milk, vanilla and the egg and beat for at least 3 minutes. Add the salt, then mix through the baking powder and flour. Fold the chocolate chips through and bring the mixture together into a dough. Once well chilled, unwrap and cut off generous discs of the lovely golden dough using a very sharp knife. Press the cookies quite flat as they will spread a little.